Racism is a touchy subject that most people feel too uncomfortable to talk about. At times people are so sensitive they tend to avoid the subject of racism hoping it will go away. Some people pretend it’s not present at all. However, this hasn’t stopped creative minds from speaking about the harsh realities of racism. Theses individuals find ways to tackle racism either, secretively, use symbolism, reverse psychology, make it appear comedic, or give it to you straight. For example, there have been over 100 movies that tackle racism. Some of those movies are in your face, and the others are, well, less noticeable. Today we are going to talk about my top five movies that are racist and you probably didn’t care to know it was. 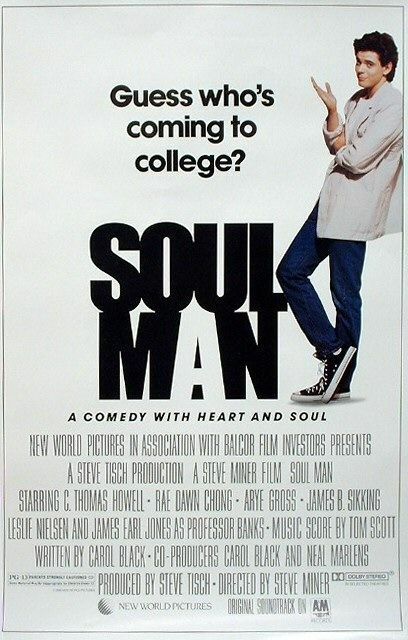 This movie stared a pampered Caucasian teen (C. Thomas Howell) that transformed himself into an African American male. Thomas’s character (Mark Winston,) a rich white teen faces the horrific idea of paying for a Harvard education without the assistance of his rich Caucasian father. Mark decided to search for scholarships that granted him a free ride. The only problem! The only scholarship he qualified for was for minorities only. Mark decided to cheat and took tanning pills. Once he was accepted as a black man, he socially interacted, and even developed a love relationship with an African American Woman, (Rae Dawn Chong), Word?! Get this though, the woman he fell in love with is the woman he took the scholarship from. In order for her to pay for school, she has to work as a waitress to not only pay tuition, but also (wait for it) support her son George. Realizing what he had done, Mark dropped the pretend act, gave a speech about how he will pay back the money, and committed to doing charity work and all is forgiven… Ni%^er Please! 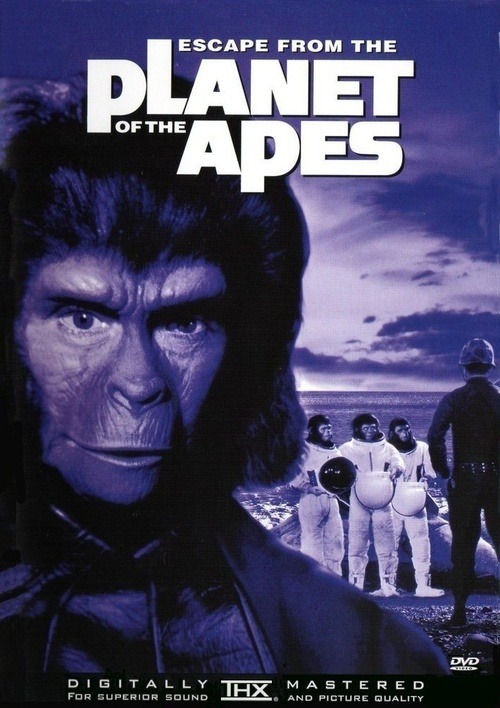 This 1960’s movie portrays a planet full of large angry black apes that have enslaved humanity. Caucasian astronauts came out of a deep sleep and found their ship has crashed landed on a planet where apes are the dominant species. The Humans, which are the majority of Caucasians; are enslaved by these physically large and well-built “monkeys.” Let’s not forget, the monkeys “Speak so well,” and have mastered the knowledge of technology. 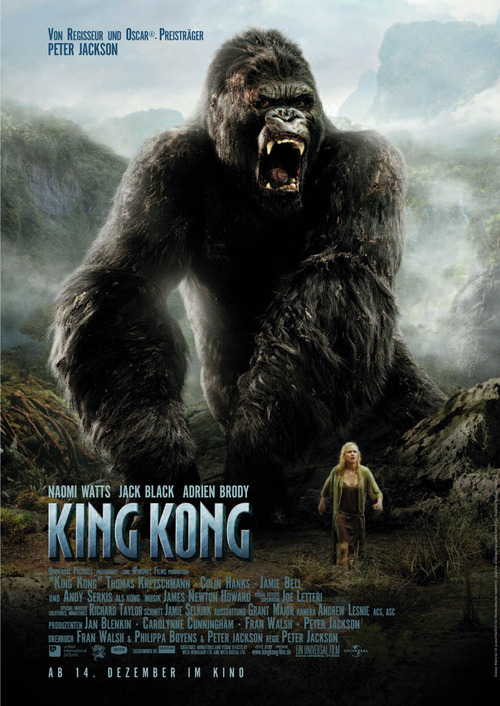 This movie had it all, from apes riding horseback chasing primitive humans through cornfields with rifles, nets and snares. Orangutans, gorillas, and chimpanzees represented the three classes of earth (poor, middle, and rich classes. ), and let me play devils advocate here. If we were to take these “Monkeys” and transformed them into the human race, who would they be? Shocked to see a Disney Flick on this list? Well, let me soften that shock. 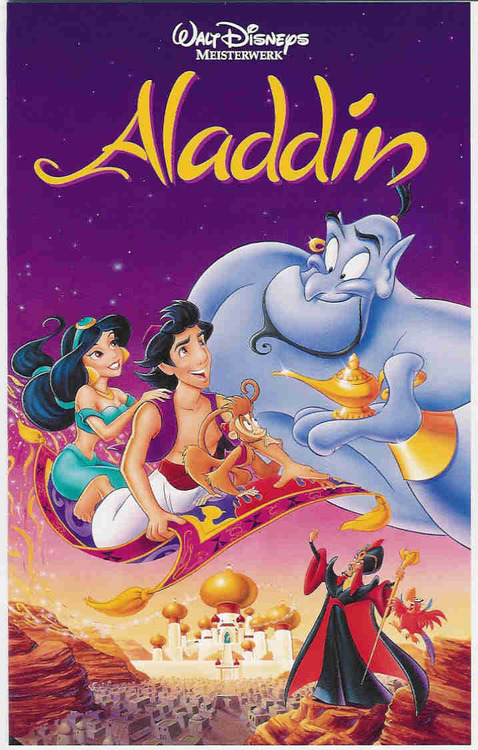 Aladdin is an animated cartoon that tells a story of a street urchin who met a Princess playing undercover named Jasmine. The street urchin found a magic oil lamp that granted him the ability to cast three wishes. One of the wishes he used made him a prince, and the street urchin, Genie of the lamp, and Jasmine go on a wonderful love storied adventure of good verses evil. Where is the unseen racism you say? Well, lets start with the street urchin. His white wash skin tone and lack of an accent angered Arabians. To make matters even worse, the villain, Jafar clearly is darker toned with facial hair that closely resembles the Arabian culture. I use that term loosely because even Jafar’s features are exaggerated and over the top. To add, the song “Arabian Nights” had the audacity to included lyrics like “Oh, I come from a land From a far away place Where the caravan camels roam. The last samurai was a great film, and I will not debate that. Sadly, the fact that there was something clearly wrong with the plot surrounding the star character remains present. Riddle me this? 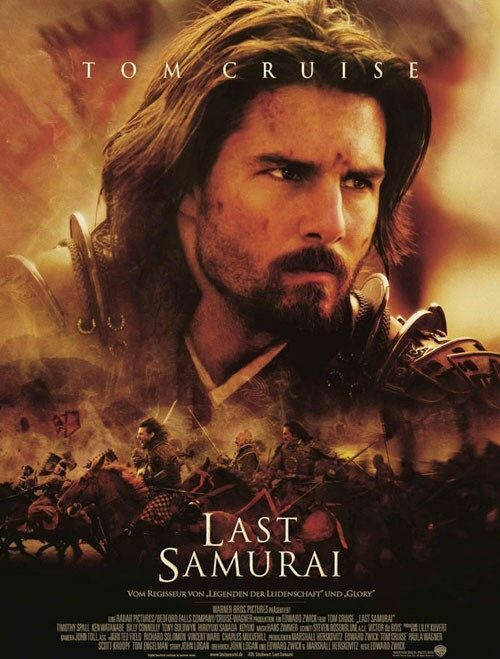 How is it possible a surviving Caucasian American, civil war, and work for hire veteran turned out to be the last samurai? The main character played by Tom Cruise ends up getting a flesh wound! While the Japanese soldier samurai’s are slaughtered. I do admire Cruise’s Character for embracing the culture of the samurai, but come on! I guess you can always count on the “white man” to save the native culture of those he was trying to kill, Thanks! That’s right I said it, and it needed to be said! Let’s not act like all the racial stereotypes aren’t present. Let’s see, large gorilla in a foreign Jungle habitat, check. Chained and sailed to America and put on display, check! Falls in love with a Caucasian woman, causes havoc because he is out of his environment, violently killed for no reason, and the person that caused all this mayhem isn’t prosecuted to the fullest extent! Check, check, check, and check! I mean, do I have to go into any other details? To sum this list up, I want people to understand that this is an entertainment piece. There are those that are sensitive reading this as we speak ready to scold me. I understand people maybe upset, but I’m just a person that looks at things differently, and I hope you do too. I hope this made people laugh a bit, but also look at it from a different point of view. My intentions are to entertain, and make the reader view things differently. I hope I made this possible.